Football is the most popular sport in the US, but it’s also a major live spectator sport across the world, in terms of average game attendance. NFL enthusiasts are increasingly traveling to watch their team play their biggest rivals. All these fans need a place to stay before or after games. And with the 98th season kicking off in September 2017, your small hotel or B&B can capitalize on game traffic with special promotions if you start planning now. More than 17 million people took in an NFL game over the 2015 season, with an average game attendance of 68,400 fans. Countless others watched the game at home or in sports bars. What’s more, 33% of adults report they actively follow pro football. While pro football may be America’s favorite sport, the college gridiron gets love too: college football is America’s third favorite sport. You have a special package for bridesmaids and couples, so why not football fans? Entice NFL travelers to stay at your hotel with perks like free in-room TV (so they can watch pre- and post-game footage), a voucher for Lyft or Uber to the game, or a pre-game gift certificate for your restaurant or bar. If you can afford it, purchase tickets to top games, then include two tickets in your promo packages. The easiest way to get more website bookings during NFL season is to use SEO to help fans looking for a hotel near the stadium find your property. Create blog and social media posts with keywords like “hotel near Gillette Stadium” or “Dallas Cowboys hotel package.” Add keywords to web copy describing your football package. Digital ads, retargeting, and content marketing can all lure new customers to your website. Set aside money to spend on content promoting your NFL deals, then track how these ads perform. Always be active on social media to engage directly with your target audience. When you’re trying to get more NFL traffic, start sharing news related to your team. This helps connect your brand with your guests. 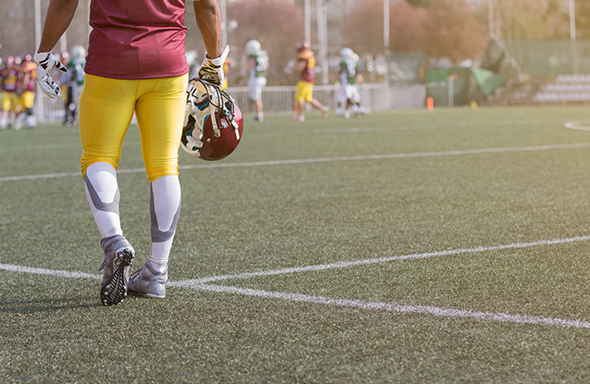 Sharing relevant content using team-specific hashtags will boost your discoverability among NFL fans who use social media to follow their team or plan football vacations. If your online booking engine is slow or confusing, or if you require that guests email you instead of accepting direct bookings, you could lose out on NFL-related reservations. Allow guests to reserve their own room by incorporating a fast, user-friendly booking engine on your small hotel website. When you have NFL travelers staying with you, remind staff to be friendly and go the extra step of making sure guests have what they need to enjoy the game. If you impress a football fan while they’re in your city, they’ll be likely to come back next time they’re in town and tell all their friends about their winning experience.